A complete overview of what you need to know about your contact lenses. Macular Degeneration Get the facts about macular degeneration. Dr. Howard H Liu, MD is a Doctor primarily located in Yonkers, NY, with another office in Yonkers, NY. He has 24 years of experience. His specialties include Ophthalmology. He speaks English. Dr. Liu has received 3 awards. The overall average patient rating of Dr. Howard H Liu is Excellent. Dr. Howard H Liu has been rated by 21 patients. From those 21 patients 3 of those left a comment along with their rating. The overall rating for Dr. Howard H Liu is 4.6 of 5.0 stars. Dr. Liu seemed to perform a careful exam. He took his time to explain to me the problem and the various approaches to treatment. He was very patient and answered all of my questions. I have great confidence in him as a doctor. I recommend him without reservation. Dr. Liu is one of the best doctors I have met. He is patient, answers all my questions, wants me to learn and know about my health and condition. He is fantastic! I recommend him to all my friends. 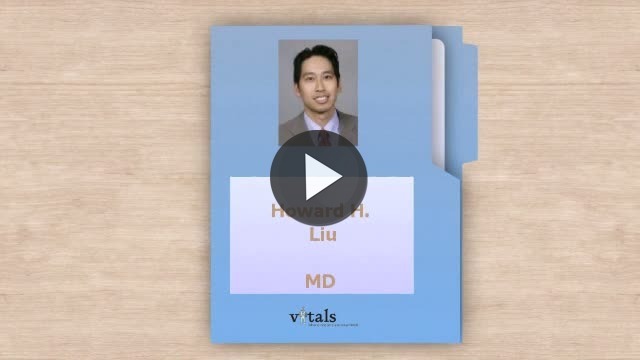 Take a minute to learn about Dr. Howard H Liu, MD - Ophthalmology in Yonkers, NY, in this video. Dr. Howard H Liu is similar to the following 4 Doctors near Yonkers, NY. Have you had a recent visit with Dr. Howard H Liu? Select a star to let us know how it was.